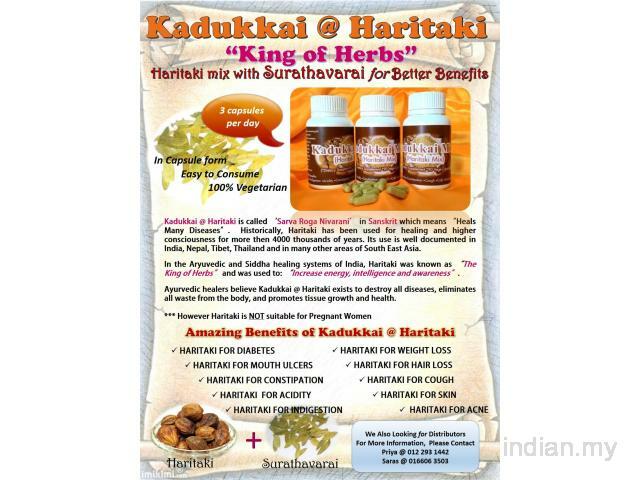 Kadukkai @ Haritaki "The King of Herbs"
Haritaki capsules are a great alternative to taking Haritaki in Powder form! Haritaki is from the fruit of the Haritaki tree. It is formed when the fruit is dried and ground into powder. The powder has a very strong taste for many people. So strong that many people stop taking Haritaki because of the taste. On the other hand the Haritaki capsules are easy to take and leave no taste residue in the mouth. 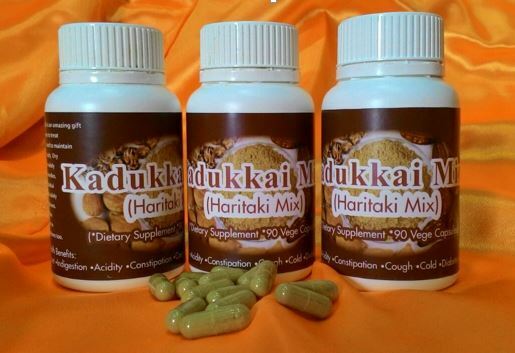 The capsules dissolve in the stomach in 1-3 minutes, depositing the Haritaki in the right place. The Haritaki capsules that we use are made of vegetable products so they are vegan, and have no animal products in their manufacture.